Everyone has a family and everyone desires to live in the best house with elegant architecture and beautiful designings having royal symbol and nature’s touch too! Talking of which nature’s touch is something so much necessary nowadays. In the horde of knowing all the gadgets and sciences, we are somewhere leaving the nature behind. 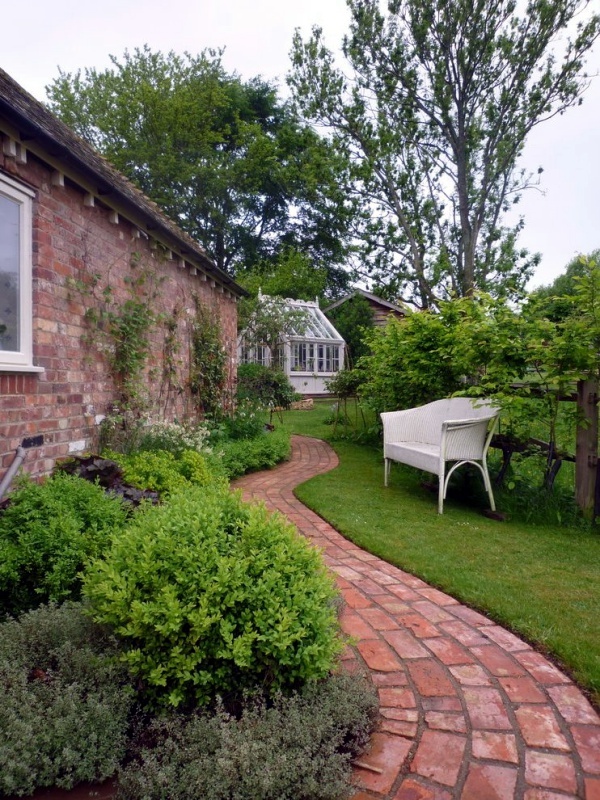 When talking about an ideal house, don’t you include a garden view in it? 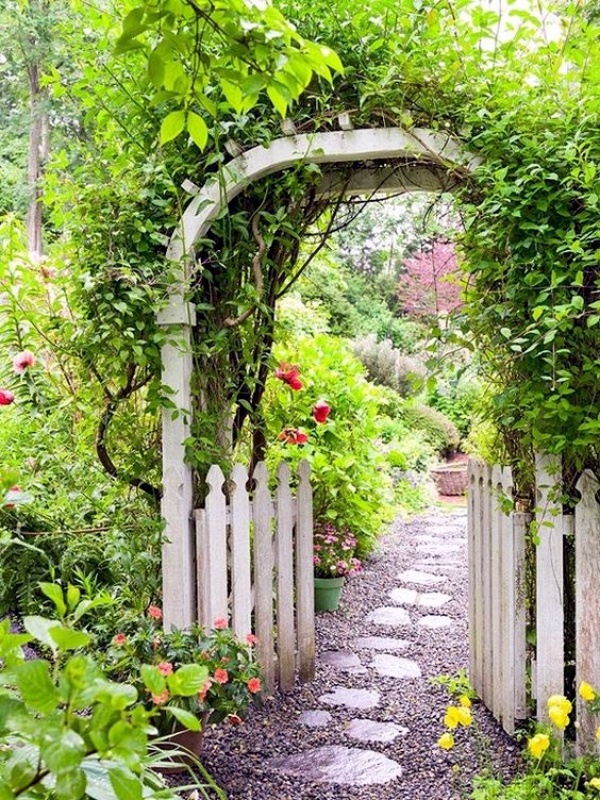 Who does not love gardens? 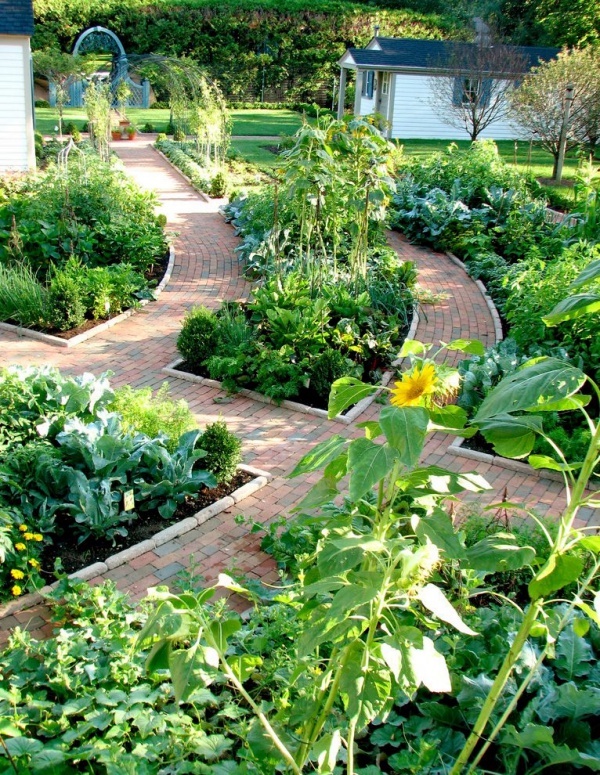 Every house has a garden – be it large, small, big trees, short trees flowers, and vegetables, no matter what. 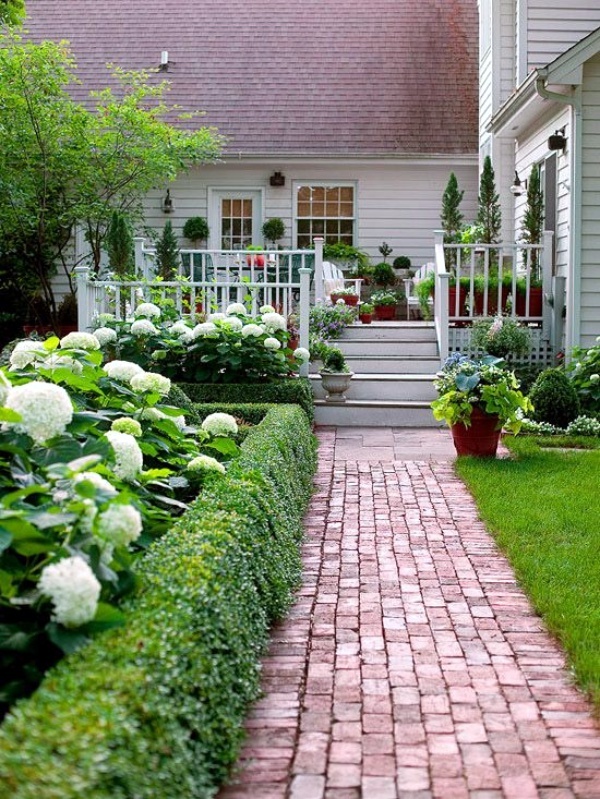 Gardens make our house look natural and attractive. 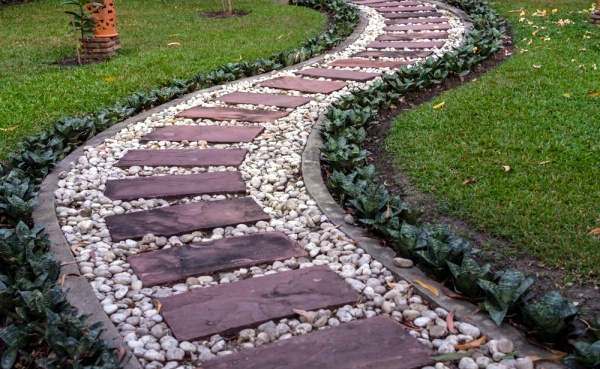 But, if you are wondering what can be done to make it look different, then we are at your rescue – you can have these top different garden pathway ideas. 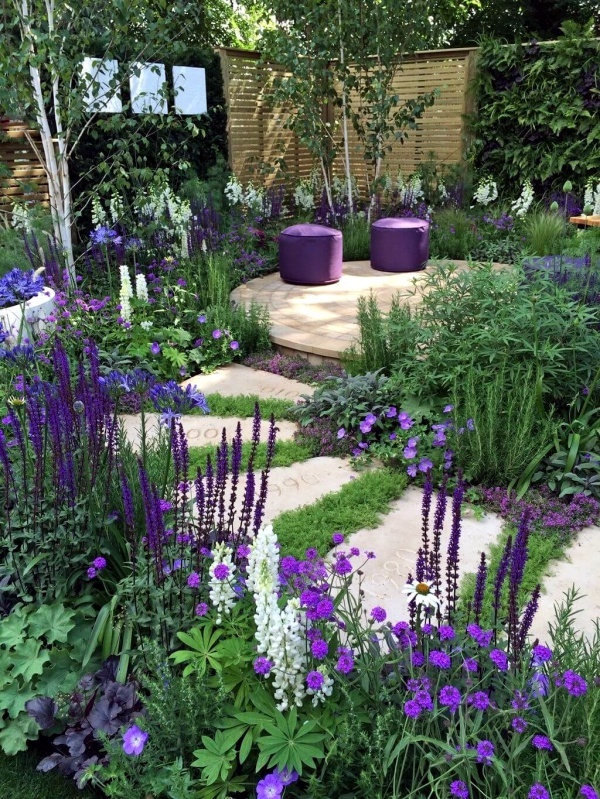 You can thank us later people, before that have a look at the amazing ideas. It is the most basic and simple idea for those who love minimal. It is simple, beautiful and exquisite. 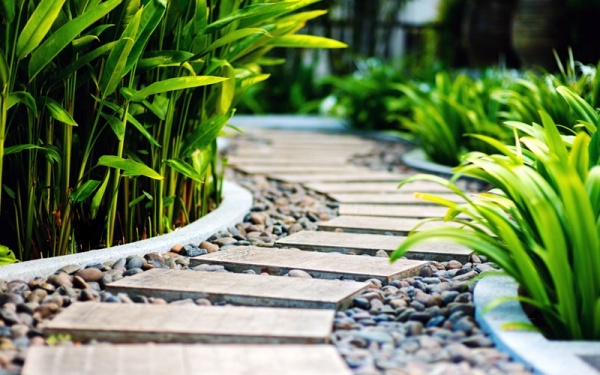 Most of the time when we talk about pathways, we tend to go overboard and add colors or lights but forget that plants are already beautiful and colorful. So be very basic and try it out. See the magic for yourself. 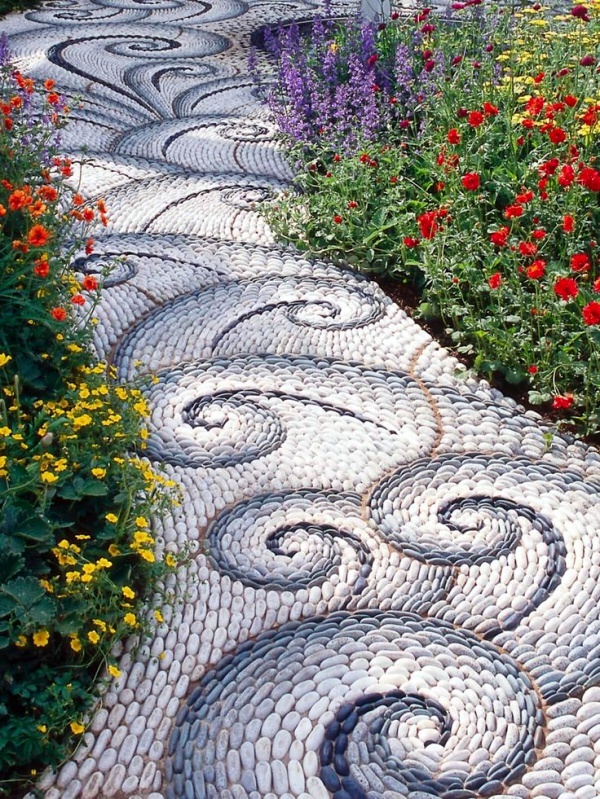 You can invest in colorful stones too if you want to style to your garden. 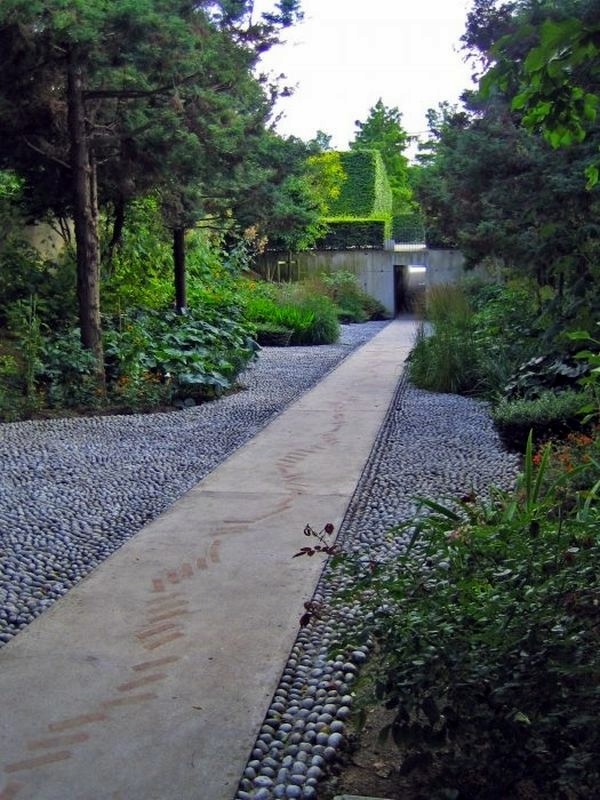 Gravel and stone is a combination that can never go wrong. 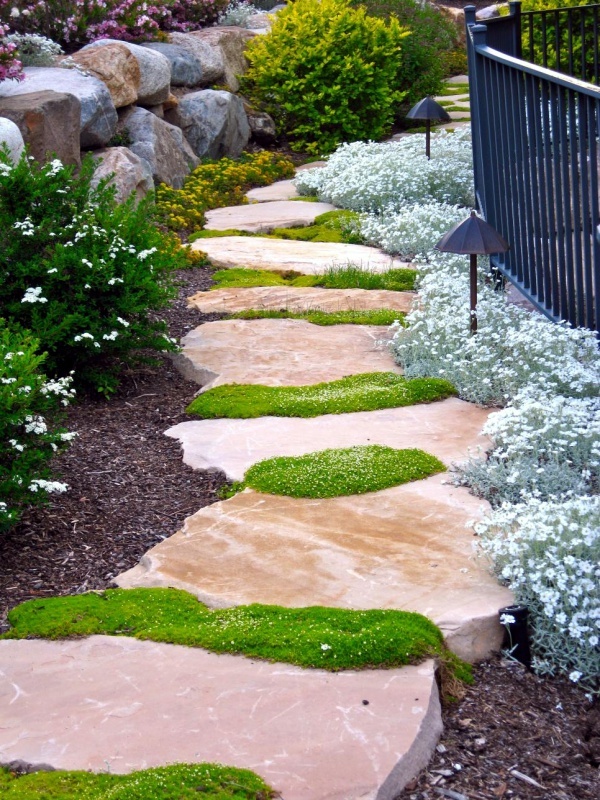 If you want to give your pathway a rustic effect, this is the right option. 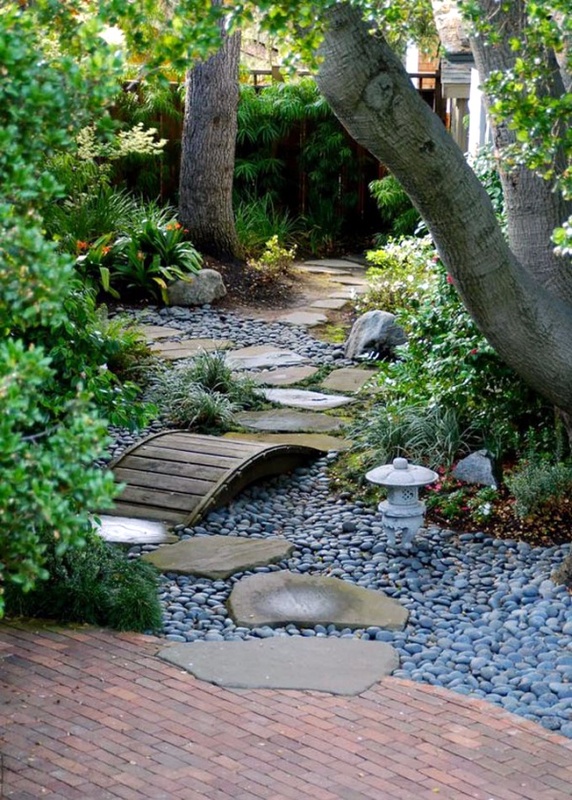 Adding some stone chips and dimension stones can change the whole look of your channel. First set the stones to stand on and around that set the stones. 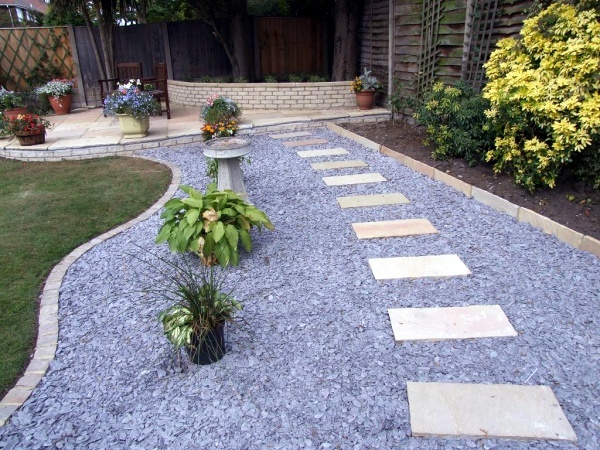 These stones will help to keep the gravel in line. 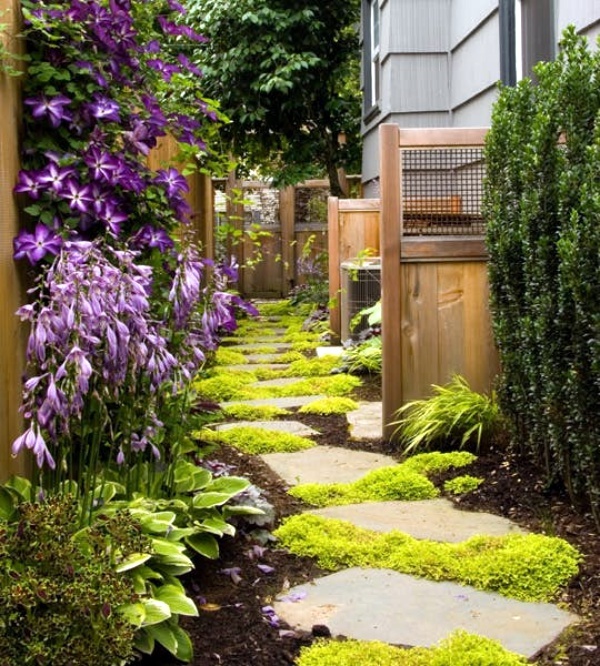 This combination is the most eye-catching in our list of different garden pathway ideas. How many have you seen a cave in movies with big stepping stones making it look more regal and whispered to yourself that you want the same? Yes, me too. 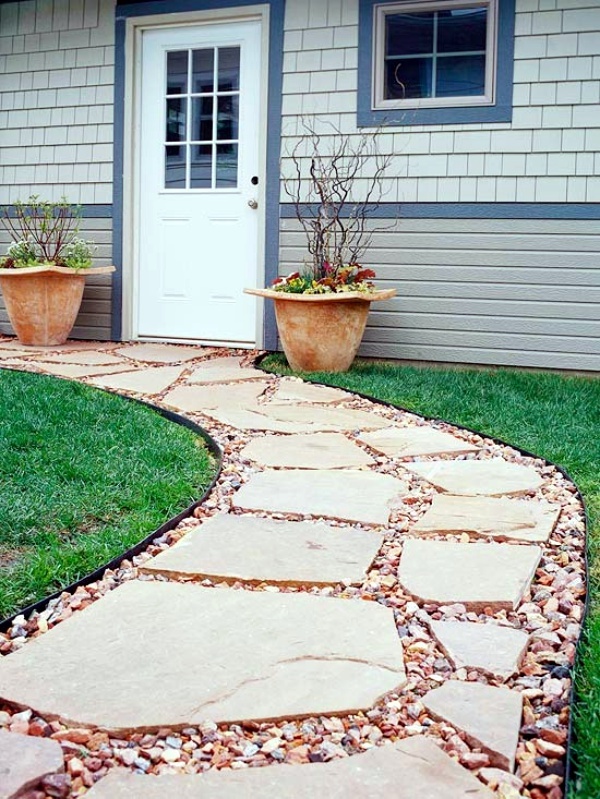 If you have a cottage or a bungalow, then these free-form stone slabs will give you the exact royal cottage feelings leaving people wanting for same. 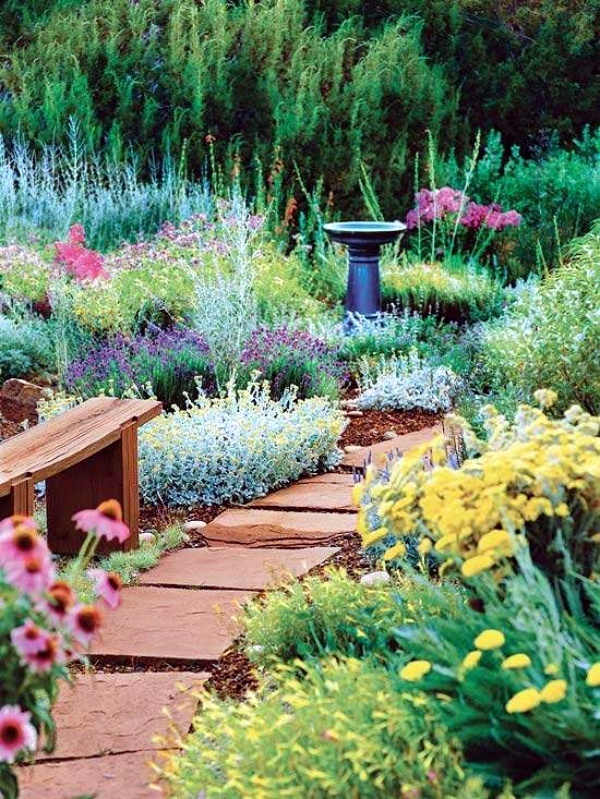 Add colorful flowers on edge and, you’re ready to go. 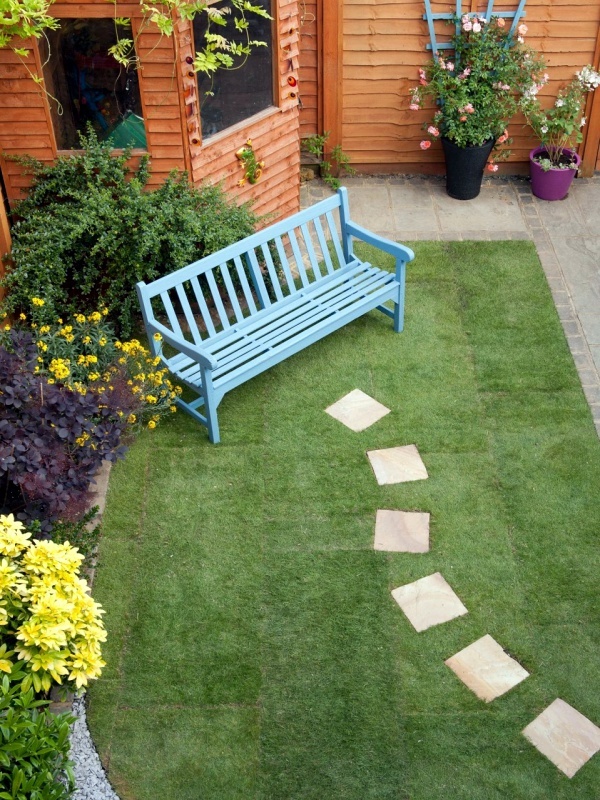 This garden pathway is very popular for those who have kids at this becomes a hideaway for all those families. 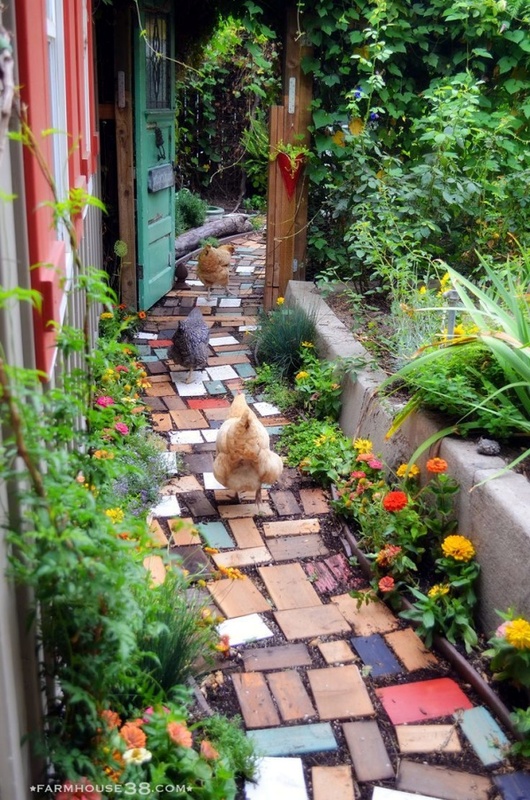 Colorful block paving is honestly the coolest idea to use in the garden. 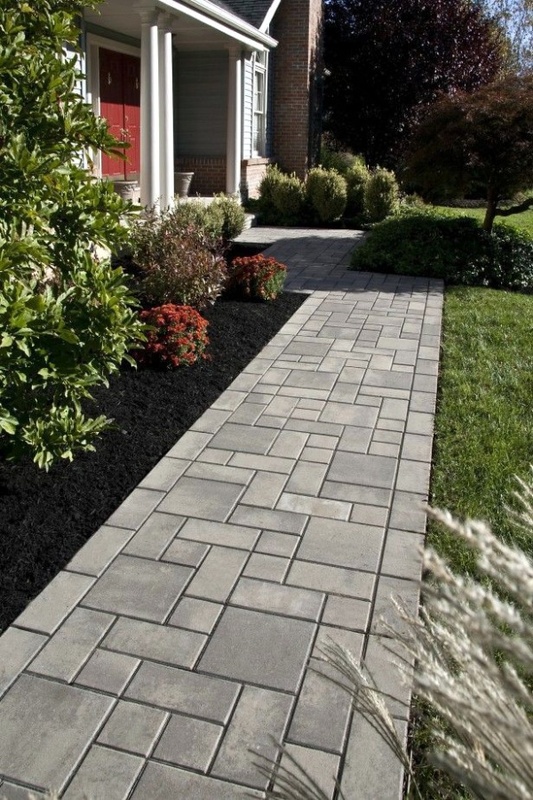 Arrange the colored blocks diagonally and cement it from sides to fix it. 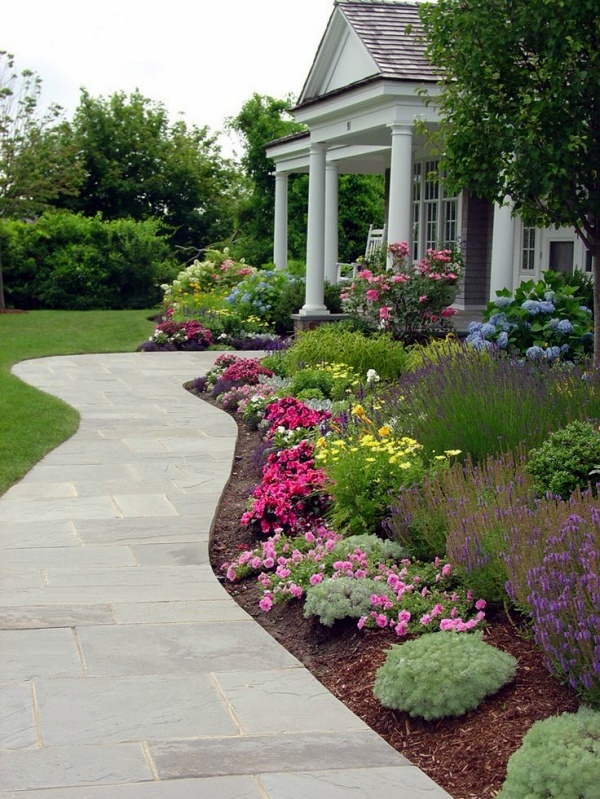 Start from the outdoor leading to the main door of the house. I know! 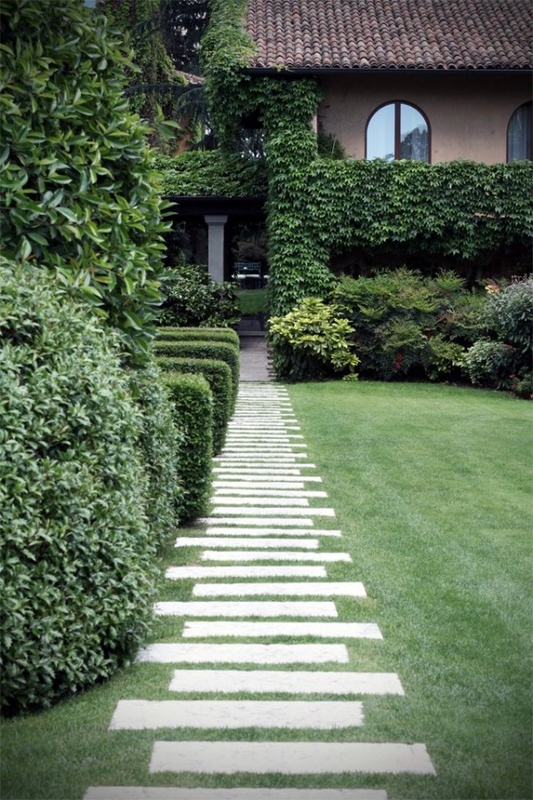 Geometry and gardens, but what’s more soothing than some perfectly shaped lines and angles on a paved patio. 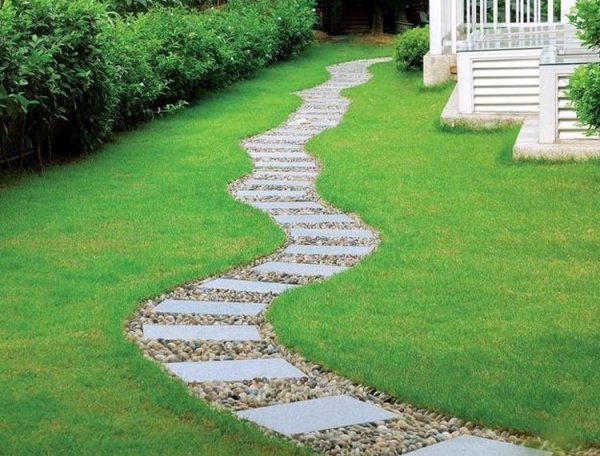 Make steps of two bricks and fill the rest space with stones, repeat this till you reach the end aka door. 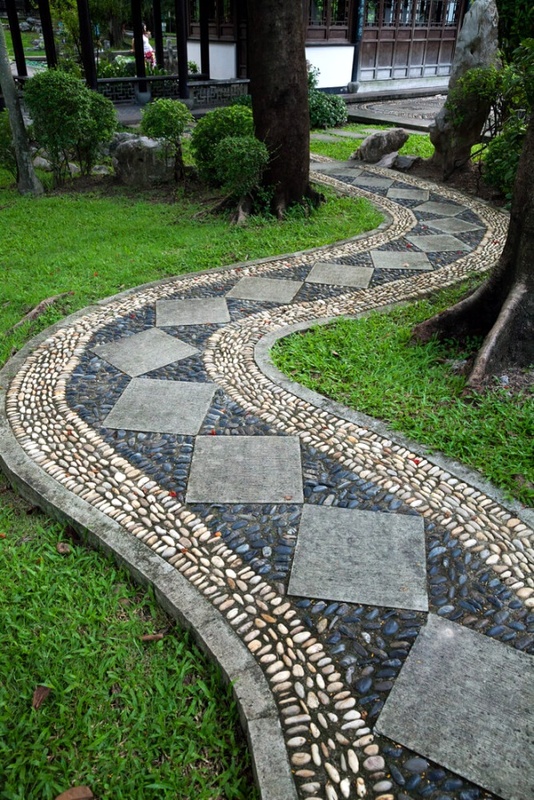 This will give a synchronized pathway to you and soothe the OCD too. 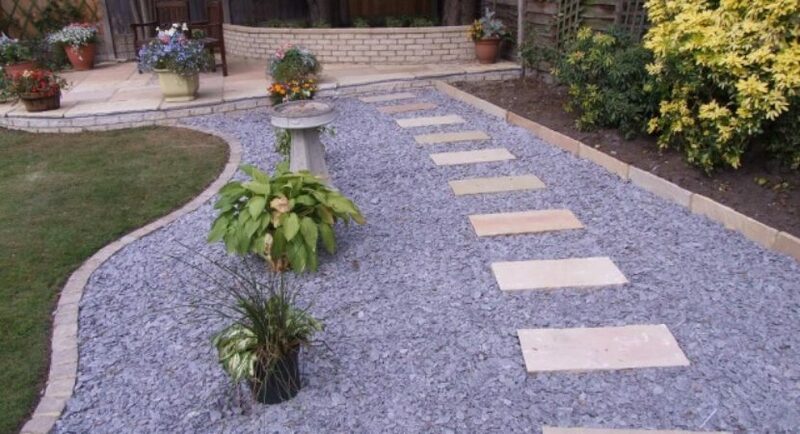 Either put the stones or leave it unattended. 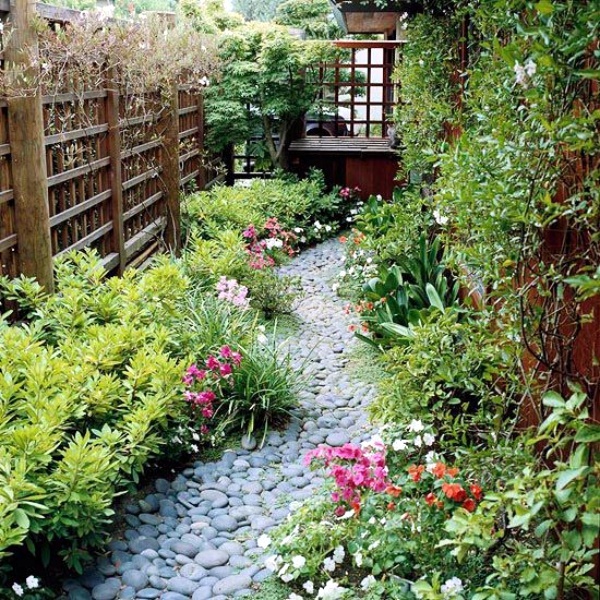 All you need to do is to add some trees or plants alongside to create a path in the corners of your garden. 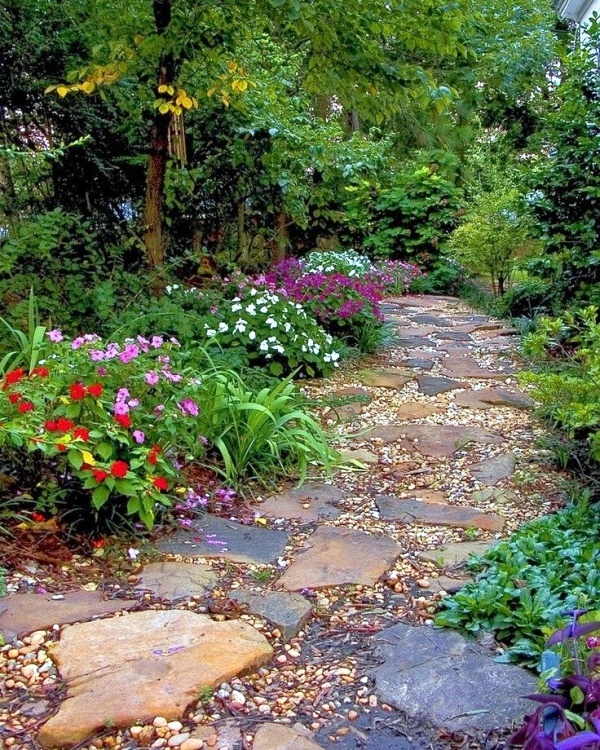 Make it like a hidden pathway to a secret place. Sounds interesting right? 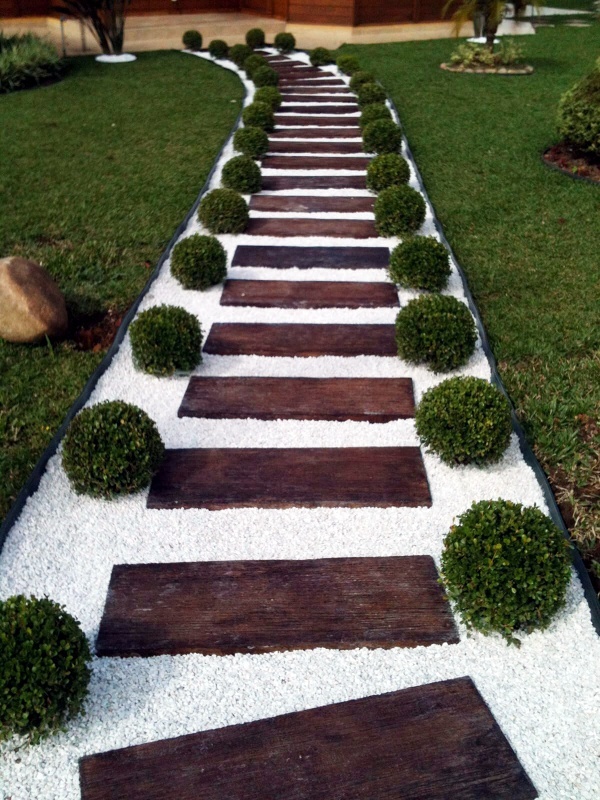 One of our best ideas in different garden pathway ideas. A good illusion is best- that’s what we consider. 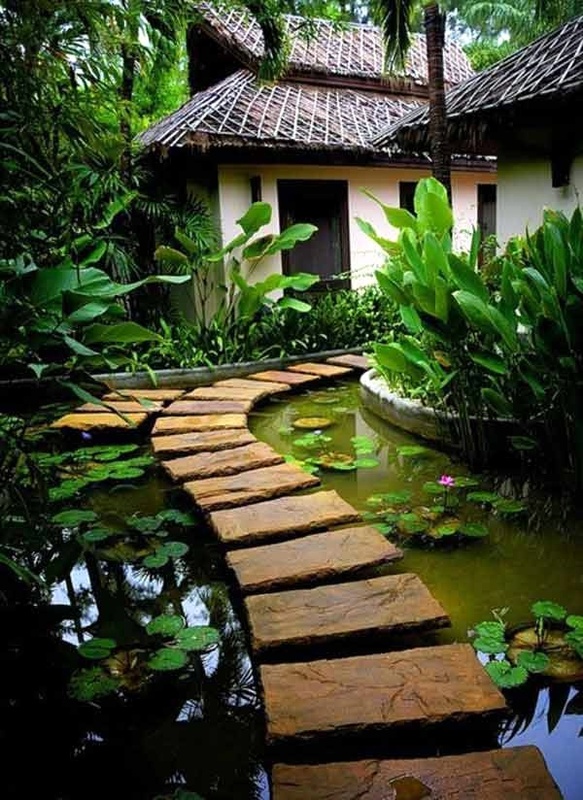 Make two pathways going in various direction and later intertwine them both on their destination. It will be illusion yet symmetric. This is called experimenting. 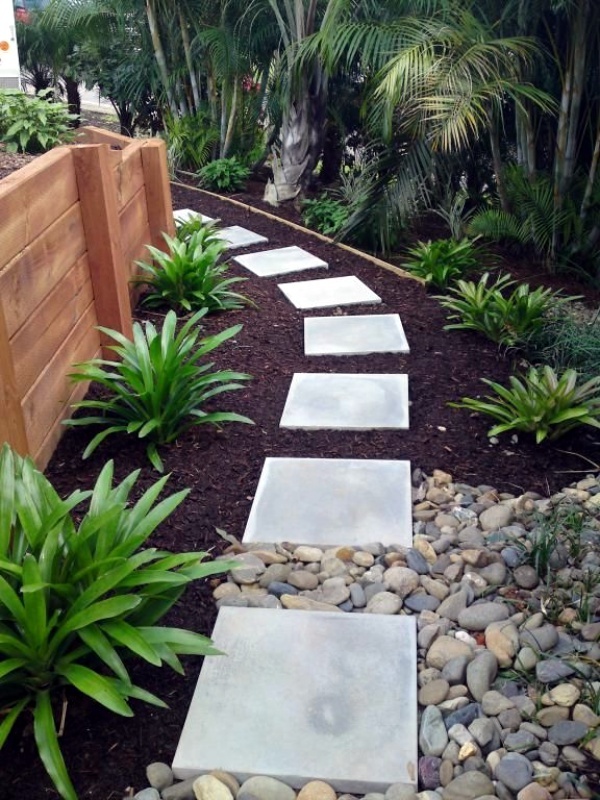 This checkboard style will attract their attention to step on the right path. 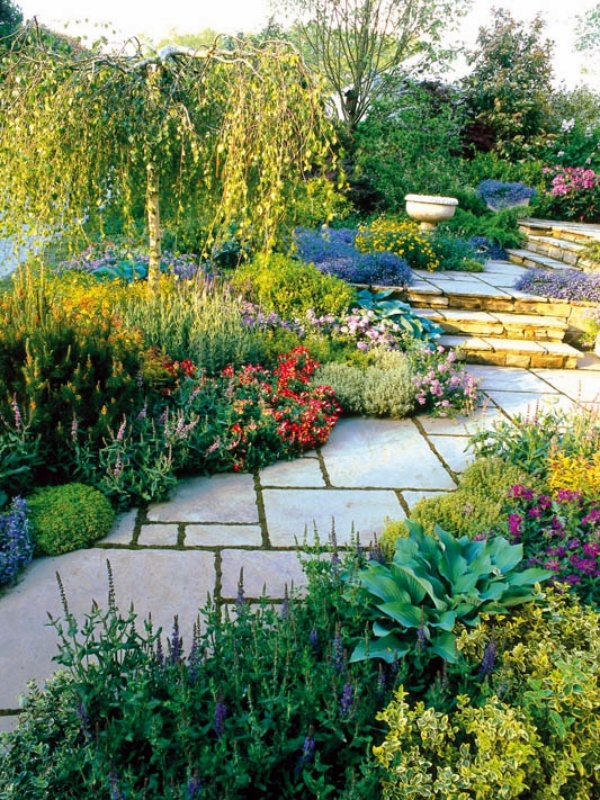 In one place, there will be stone, and on the other, there will be a weed, flowers of grass. Go ahead and check mate. 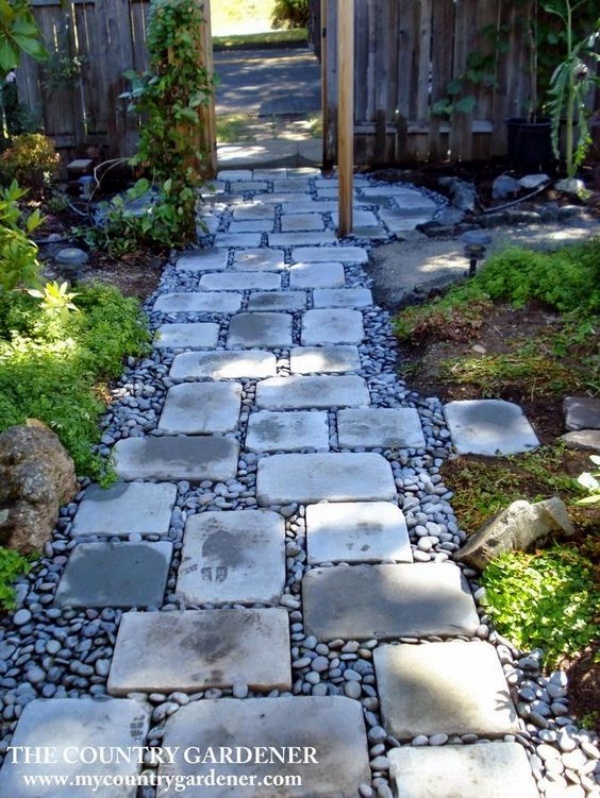 Before this, we have told you about gravel and stone pathway, but this option is little different than that. 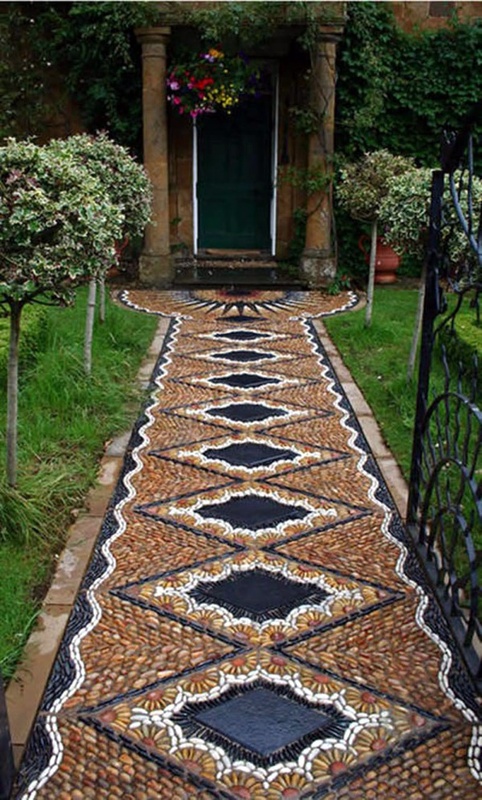 In this, the road is covered with gravel only, and the stones are lined sideways to put gravel in place. 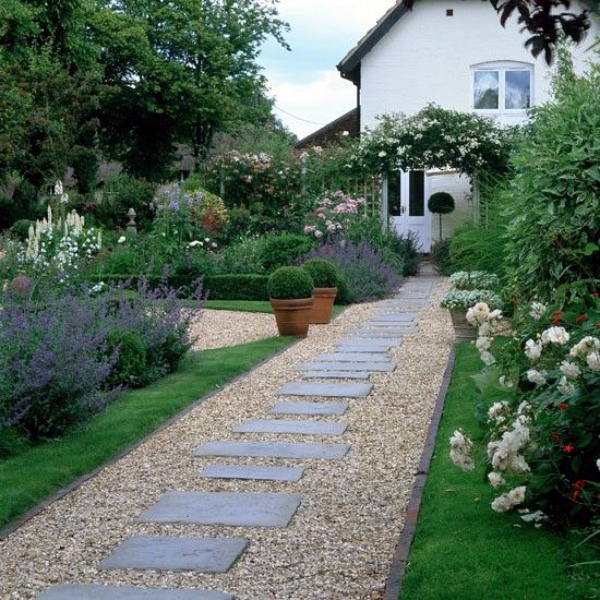 In this option, you’ll have to just wring the fairy lights on both sides of your pathways to lead the road to the door. 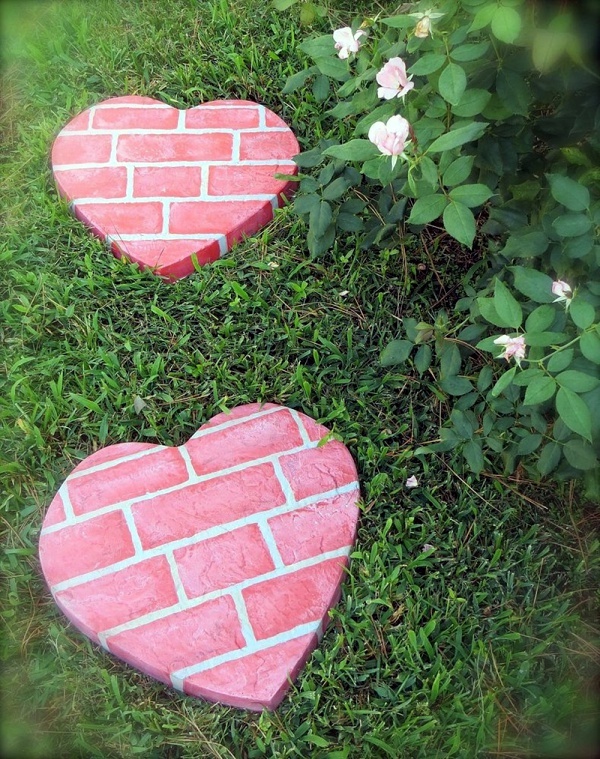 It will be most beautiful in evenings and will add a charm to your home. 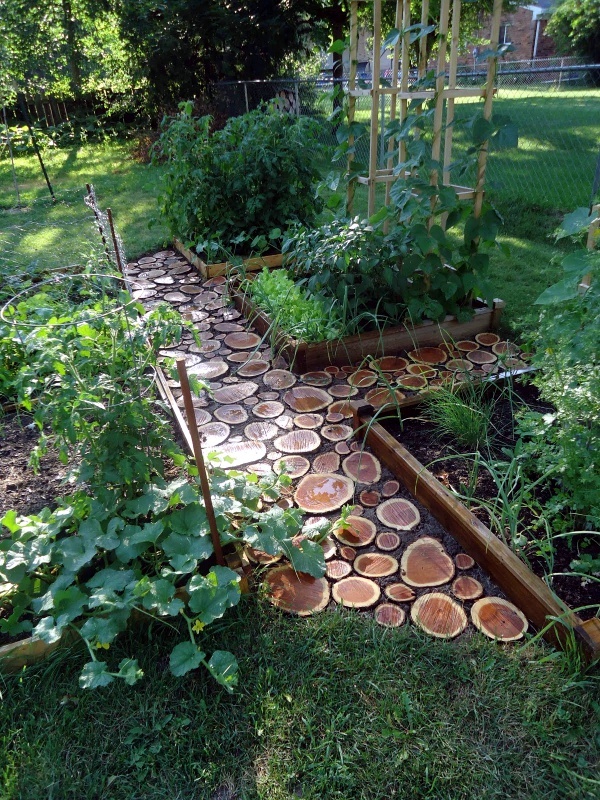 It is the newest and most innovative idea in our different garden pathways idea. 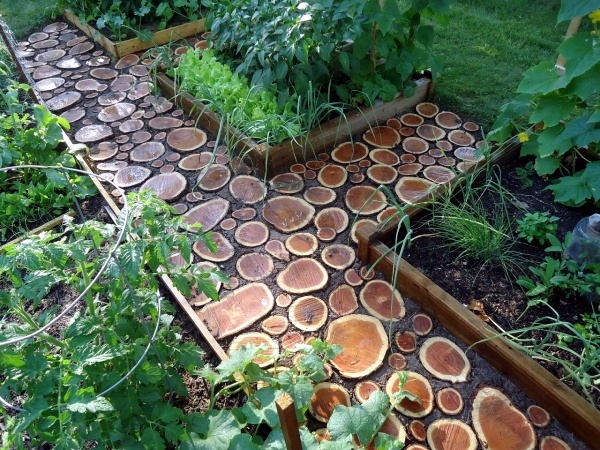 In this, you’ll have to add solar light in the pathway that’ll be switched on during the night to create a lumbering effect altogether. 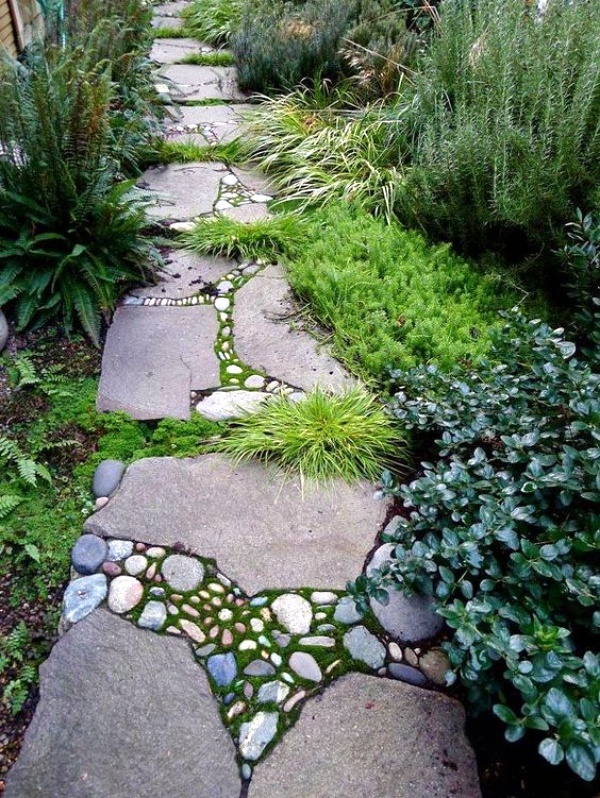 Make a little water stream going through your garden and put stones across it like a bridge. 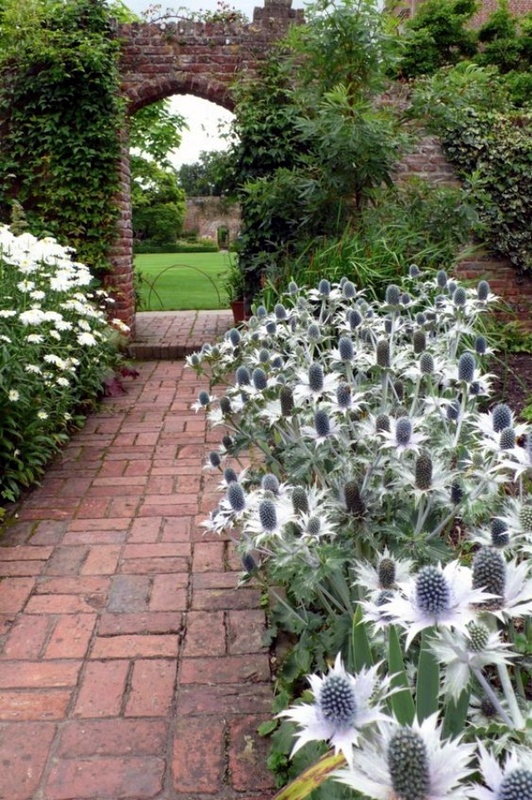 It will give your garden a country effect and make it look beautiful. You can also add some fishes if you feel like. Everyone has infinite dreams about how their house would be. 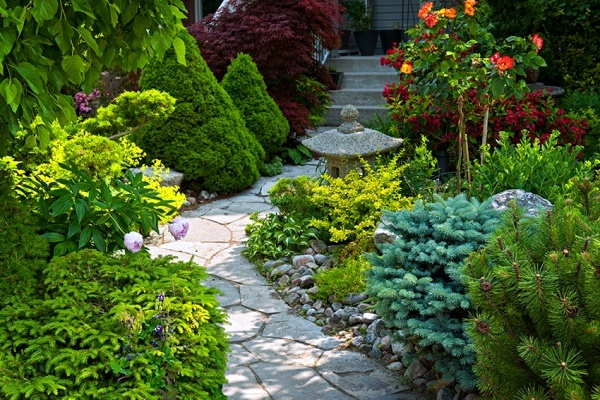 And garden is something every family needs to celebrate the joys and feel the peace nature’s offering all the time. 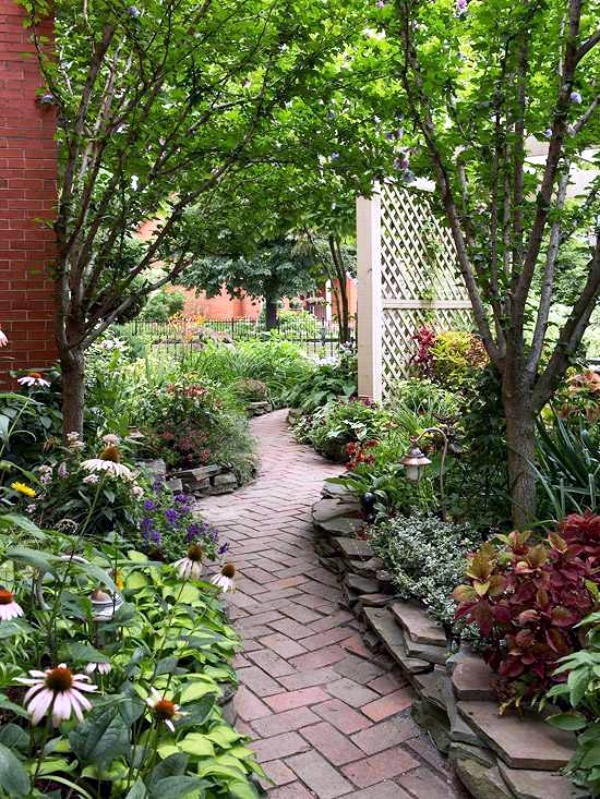 Garden pathway ideas, now, play a vital role in making the garden distinguish-ably amazing thereby making it eye-catching.